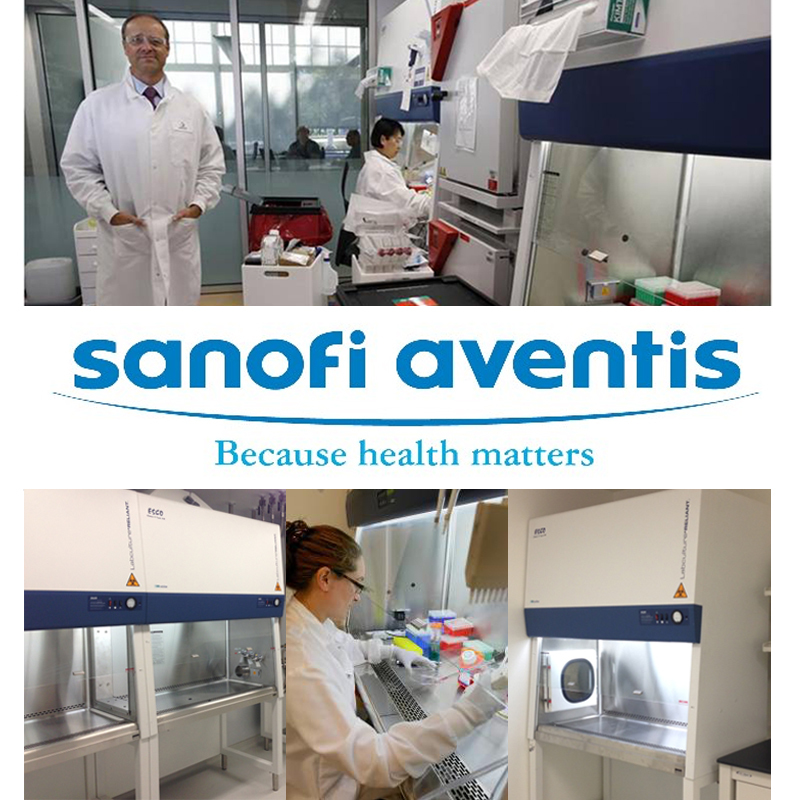 Sanofi-Aventis opened a new research and development facility in 640 Memorial Drive, Cambridge, MA, where 250 investigators and support staffers will focus on research in cancer biology, biochemistry and bioanalytics, chemical genetics and proteomics, and pharmacology. The new facility integrates the greater Boston workforce of Sanofi and its Genzyme biotech subsidiary, a Cambridge-based company that was purchased by Sanofi 2.5 years ago. Christopher A. Viehbacher, the Sanofi Chief Executive Officer, was in Cambridge to open this Sanofi’s global cancer research center. He said that the Genzyme acquisition has paid off well, being one the fastest growing parts of Sanofi, with sales increasing 25.5 % in the first half of 2013, sparking a USD 40 billion or 50% surge to Sanofi’s market value. It signals that Sanofi is serious about biotechnology and research and development. One of the key research equipment used by this new facility is the 47 units of Biosafety Cabinets that Sanofi selected Esco to manufacture and install. Featured on this picture, standing in front of two Esco Labculture Reliant Biosafety Cabinets, the Sanofi CEO, Mr. Viehbacher recognizes the importance of these critical equipments. The Esco cabinets were chosen for safety, efficiency, reliability, and ergonomics. Additionally, Esco was chosen for the capability to customize the products to suit Sanofi’s specific needs. Some of the cabinets in this new facility were designed to be connected using tunnels and pass-boxes, to allow fast and sterile material transfer between cabinets and rooms. With first-rate engineering and manufacturing capability, Esco can meet quality & customized large installation requirements.